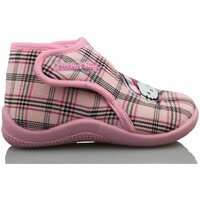 Sneakers go home girl Hello Kitty brand. Originall house slippers with great design that will help meet the winter days with more joy. These shoes go home Hello Kitty are a good option to keep your feet comfortable and very calentios daughter to fight hard invierno.Diseño pink and Hello Kitty face on the vamp that give these shoes go house an incredible and fun personality. Velcro adjustment to ensure a proper fit to the foot. They can also be used for street and having rubber sole.